In our original plans we were hoping to install the sculpture this summer. 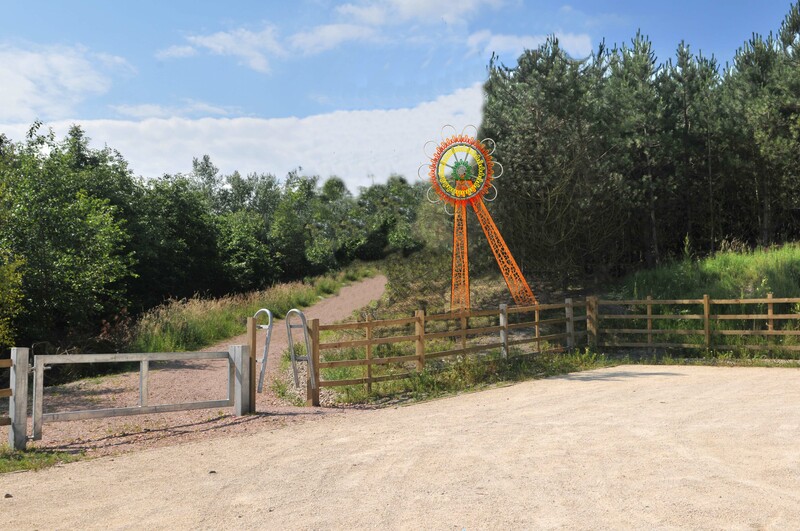 Due to responses from local people it was decided that more direct representation of the site’s mining heritage needed to be included within the design. The schedule was therefore put back to allow time to do this. – using Pandrol’s railway clips, Brunton Shaw’s wire rope and Manton Pit tally tags to make the flower head. Last week the designs were shared with the community groups involved, and we’re now moving forward with construction. We hope to be installing the sculpture in the Autumn – we’ll keep you posted! This entry was posted in Uncategorized by jowheeler41. Bookmark the permalink.